Ahead of the EURONEST Parliamentary Assembly to be held in Yerevan on 16-18 March, EuFoA Director Mr Eduardo Lorenzo Ochoa has been asked to write a column presenting EURONEST and Armenia’s involvement within this Assembly. The article entitled “Euronest, a Multilateral Dimension of Relations with Europe” was published by the monthly Armenian magazine of the Economics & Law Centre. The Centre began its activities with the publication of the magazine for managers and the specialists of organization management: accountants, lawyers, auditors, tax specialists, financiers, managers, marketing specialists and others. Below we reprint the article with kind permission of the magazine. In a few days Armenia, deepening its relations with the EU and the Eastern Partner countries, will organise again a EURONEST meeting outside of the European Parliament premises, outside of the European Union. 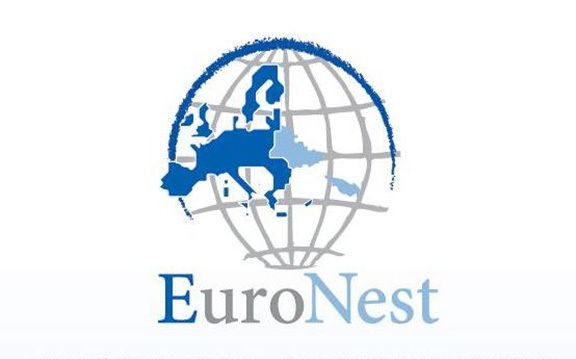 It was in February 2012 when for the first time EURONEST held a meeting in an Eastern Partner Country. Back then, the standing committee on Social Affairs, Education, Culture and Civil Society held its meeting in Yerevan. The large participation of NGOs, the Armenian Youth Parliament and members of all delegations making part of EURONEST including the Azerbaijani delegation, added a unique value to this important framework of EU-Armenian relations. Later on the same year, in April 2012 EURONEST held its second ordinary session in Baku, with the full participation of the Armenian delegation, composed by 10 Armenian MPs. But what is EURONEST? Why Yerevan? What can EURONEST provide to Armenia as well as to Azerbaijan, Georgia, Moldova, Ukraine and possibly even to Belarus? And to the European Union and the European Parliament? The idea of creating a parliamentary assembly (PA) gathering European parliamentarians and their counterparts from Armenia, Azerbaijan, Belarus, Georgia, Moldova and Ukraine, was first proposed by the Foreign Affairs Committee of the European Parliament, back in 2006, three years prior to the establishment of the Eastern Partnership in Prague. The Assembly contributes to the strengthening, development and visibility of the Partnership, as the institution responsible for parliamentary consultation, supervision and monitoring of the partnership. It is organised in 4 Standing Committees, each of them covering one of the 4 platforms established by the Prague Declaration: Political, Economy, Energy and Social affairs. These committees produce resolutions concerning the most current and crucial issues in the 4 abovementioned spheres. , that Once adopted by the Assembly’s Plenary, these resolutions are sent to the EU Council, the European Commission and the Governments of the EaP countries ahead of their annual summits. So first of all EURONEST with its 110 members adds an enormous weight to the international relations of the countries involved, because of the nature of parliamentary diplomacy, because of the nature of linkages between parliamentarians and, finally because of the broader societies in each respective state they represent. On the other hand, EURONEST PA is the venue for a parliamentary assessment of the Eastern Partnership and the expression of the commitment to the principles of international law and to fundamental freedoms. In addition to this, it also promotes the necessary conditions to accelerate political association and further economic integration between the EU and the Eastern Partner countries. However, it took almost 2 years for the European Parliament and the Eastern Partners to reach an agreement over the launching of the EURONEST Parliamentary Assembly. The temporary exclusion of Belarus, given the low level of democracy as assessed by the EU Institutions, together with the different opinions of the European Parliament political groups delayed its establishment much more than expected. Since the very first preparatory meeting back in 2010 the Armenian delegation to EURONEST supported the launching of the assembly as soon as possible together with Ukraine. This position can be best understood in the context of the European vocation of Armenia and its belonging to the European community of values, based, inter-alia on our common Christian heritage. It is in this historical and cultural context that one can best understand the unity of all different representatives of Armenian parliamentary political forces under this common goal; attitude that was crucial for the Republic of Armenia to be granted with the very first EURONEST meeting outside the European Parliament. From the standpoint of the EU, the participation in EURONEST can provide European stakeholdersa better understanding of the EaP countries and their societies, but in addition to this, having the 3 South Caucasus countries as members can also help to make this important region more predictable. But what are the challenges and opportunities of EURONEST? On one hand there is togetherness, a common multilateral approach, the understanding of the collective interest, but on the other hand, there is also the principle of differentiation. This means that the more each one of the country members’ succeeds the faster it should go on in fulfilling its aspiration in terms of cooperation with the EU. So whether EURONEST becomes a framework for partnership or not will depend on the use of these prerogatives. EURONEST can be a catalyser for fostering the development of common initiatives and programs on issues of mutual interest for the EU and the Eastern Partners, such as: VISA facilitation and mobility programs, Deep and Comprehensive Free Trade Agreements with the European Union, The Association Agreements, Full compatibility of higher education diplomas, Development of participative democracy, Promotion of youth involvement, etc. But some may have the temptation of using this unique loudspeaker to voice their regional and local disputes, taking all members hostages of their internal problems. In conclusion, EURONEST should not be an aim in itself, but a necessary step and a tool towards further cooperation with the EU. It constitutes also a test and a challenge for the Eastern Partner countries to foster their EU aspirations in a spirit of partnership and common goals, as far as they are able preserve it from becoming a sterile scenario for local or regional disputes.